I have a 2014 Dart GT (2.4L) that has the stock wheels. I've been told that my lug nuts are swollen and need to be replaced. Has anyone done this? Where might I find them cheap? I looked on eBay but the cheaper sets have a warning to not use with the stock wheels. Really dont want to spend a lot on them! You could just use a 20mm socket. 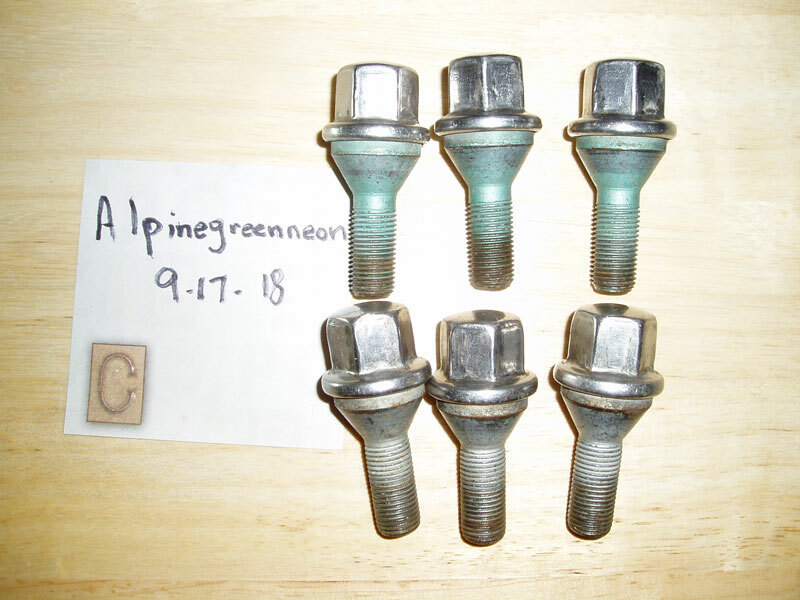 I find these lug bolts at the self serve junkyards I frequent. It's rare that I find some that fit in a 19mm socket. I have a few in my for sale thread that do fit a 19mm socket. FCA wants way too much for new ones. When mine get to where a 19mm socket is too tight, I'll just go to a 20mm socket. 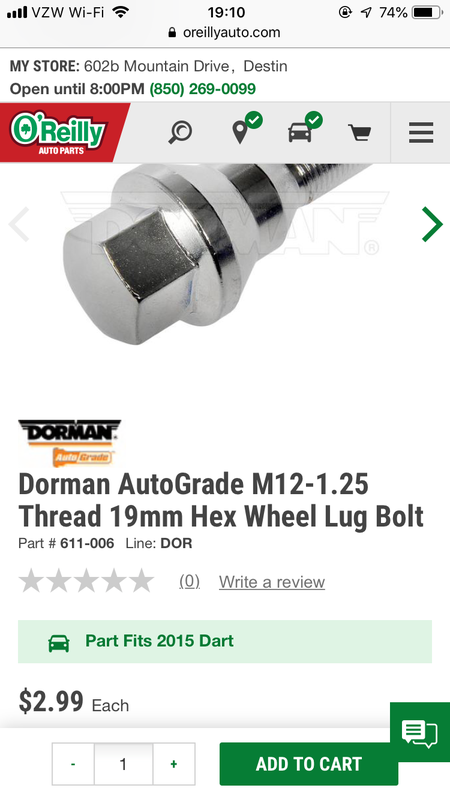 Chrysler has been using these types of lugs for many years now. There is a hardened steel core with stainless steel stamped over it. The outside never rusts and stainless is too soft for lugs. Rust however can creep under the stainless outside and that's what causes the swelling. I'm not sure why these newer versions have this problem. My old '95 Neon has it's original lugs and there is no swelling at all. My old '03 Dakota had the problem of the stainless cap coming off. Epoxy helped but it wasn't permanent. I did try aftermarket lugs on my '82 Rampage. They rusted the chrome right off in 6 months. I wasn't happy with those at all. Last edited by alpinegreenneon; 04-10-2019 at 09:35 AM. It's not a good day when your nuts are swollen! Sorry, saw this post in my email and couldn't help it. Good luck with your wheels! Lug bolts instead of nuts.